‘HawkEye Parking’ mobile app is a commercial application to solve the parking woes not only for Indian market but also for other developed markets as the US, the UK & UAE. 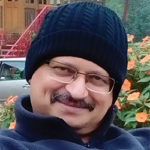 The app is launched by Mumbai based JAAN Innovations Pvt Ltd, a company started by four college friends who came together after 25+ years of successful career in their respective fields. Idea was to use their extensive experience in the field of IoT & Image Processing. It took ‘team JAAN’ two years to develop the IoT Platform and then add the ‘Smart Parking’ application layer over it. Co-Founders Ajay Masur and Nikhil Joshi explain how the system uses video-based detection of parking bay occupation and is designed to use inexpensive, low-end cameras to minimize capital cost. Hawkeye is an end-to-end Smart Parking Solution created to allow users to search for, book, pay for and utilize specific parking slots in specific parking areas on chosen dates for specific time slots. It is designed on top of world-class generic configurable IoT platform. The Hawkeye architecture incorporates several technologies like image processing for determining real-time slot occupancy using general purpose off-the-shelf cameras, ultrasonic/magnetic/infrared sensors. Wired & wireless cameras or wired/wireless sensors are used for easy deployment, thus reducing the cost. The USP of the platform is its proprietary technology of using low-cost camera for determining the parking occupancy. A single camera can process the image of parking slots with multiple cars parked. This makes Hawk-Eye Platform a very cost effective system. 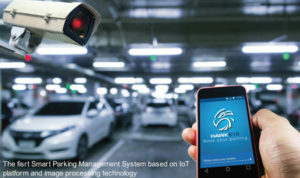 Typically, conventional parking system uses expensive cameras for Number Plate Recognition (NPR) for tracking vehicles. But HawkEye Platform uses very low cost cameras by using its Proprietary Algorithms for Image to Text Conversion. It uses the same Proprietary Algorithm for many other decision making tasks, such as Vehicle Occupancy, Vehicle Movement and provides many useful features like “Show-My-Car” etc. 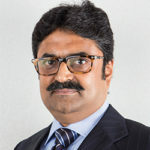 A Cloud-based Platform is used for receiving, storing and analyzing occupancy images & data, integration of email & SMS Gateways, integration of Payment Gateways, extensive Dashboard for Parking Management for Parking lot owners & managers and for free availability of Mobile App on both native IoS and Android for booking parking lot. The Hawkeye Gateway has been desgined as a robust configurable device and is installed at sites interface field equipment with the server on cloud. The Gateway has several communication ports and simultaneously gathers data from wired as well as wireless IP cameras & sensors. This data is sent to the server using a proprietary secure communication protocol. A CGI interface has been built into the Gateway for configuring operating parameters. In addition, the Gateway has a 64GN local memory to store image & sensor data in case of a communication outage. The Gateway has been designed to interface with most industry standard sensors, such as IR, ultrasonic and magnetic sensors and other associated accessories like Boom Barriers, LED displays, RFID Readers etc. 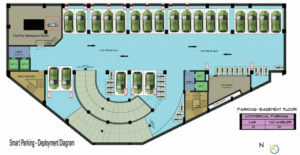 Configurable as per parking area. Flexible parking charging module to cater to many scenarios. Multi-level access and visibility with-in parking operator. Useful for Municipal Corporations or multi-city parking spread. Complete visibility, on real time basis, of all the parking areas, up to “slot” level. Extensive, but simple to implement, “data analytics” and “reporting” plugin modules.